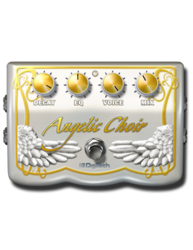 Guitarists in need of an amazing textural effect to add to their arsenal should look no further than the Angelic Choir. 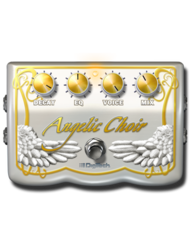 Based on a Lexicon® Hall reverb, Angelic Choir offers cascading octave pitch shifting and creates an ethereal synth-like effect when used with clean guitar chords. 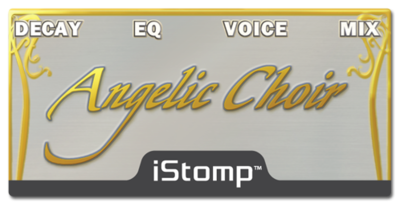 Use your volume knob or volume pedal in front of the Angelic Choir and you will produce the most amazing volume swells. 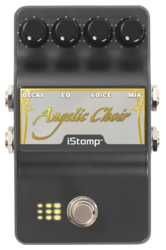 The Voices knob adjusts from a single voice or an entire choir. 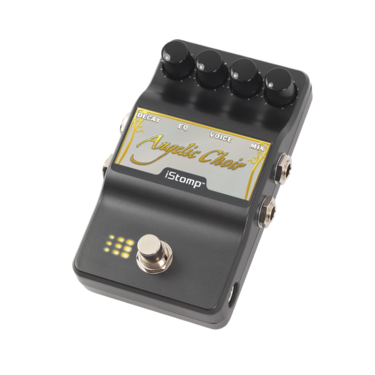 DECAY - Controls the reverb time. 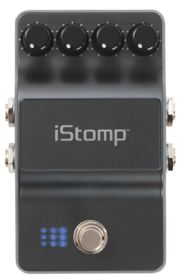 EQ - Controls the effect timbre - dark to bright. VOICES - Adjusts the intensity of the pitch shifting.